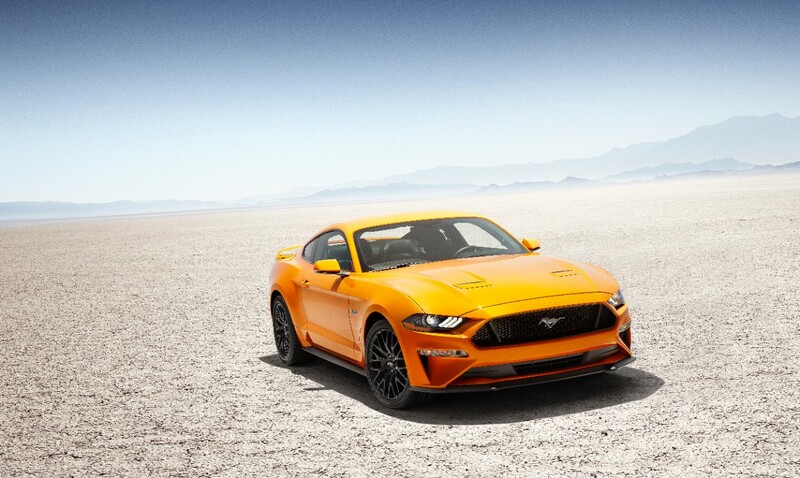 National Mustang Day was not long ago and Ford announced some exciting news regarding its iconic track-capable pony car. The most street legal and beastly Mustang ever produced is officially back; The Shelby GT350 and GT350R will remain on the production line for 2018. Although somewhat expected, this official announcement is the icing on the cake, especially as 2018 model year offerings are underway. Check out the video clip below where Ehab Kaoud, Ford Chief Designer and Artist, explains what he loves most about the Ford Mustang. Watch as he expresses just how imaginative this muscle car is and how art comes to life once again with the 2018 Shelby GT350 and GT350R. Hitting showrooms this fall, the GT350/GT350R will be offered in three new exterior colors: Orange Fury, Kona Blue and Lead Foot Gray. The first two are also available on EcoBoost and GT Mustangs. Kona Blue was most recently available on the limited-edition, 50th Anniversary 2015 Mustang; Orange Fury and Lead Foot Gray, however, are brand new. As for the equipment, this car will essentially remain true to itself. This means that the 2018 GT350/GT350R will include the same 5.2-liter V8 engine that puts out 526 horsepower and 429 lb-ft of torque. The engine is matched to a six-speed manual transmission Tremec, however there is also a DCT automatic coming as an option as well. Standard equipment carrying over to the 2018 model include engine oil, and transmission and differential coolers to keep the car properly cooled on the racetrack. This is especially important since owners of some of the earlier cars experienced overheating issues. In addition to magnetic dampers, a no-compromise braking system with vented 15.5-inch two-piece front rotors and six-piston Brembo calipers come standard. The GT350/GT350R will also come equipped MagneRide damping system produce one of the most balanced Mustangs ever produced. For those who desire some added comfort and goodies, there are two packages to choose from. 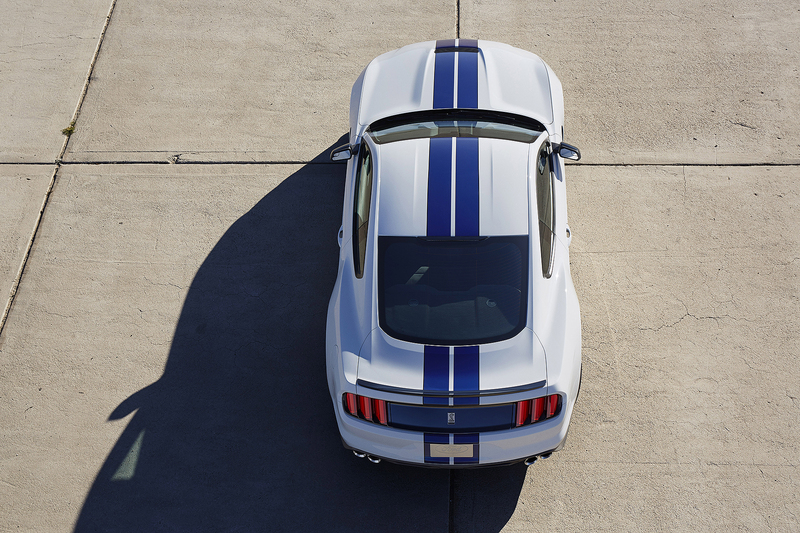 An available Electronics Package for both the 2018 GT350 and GT350R models includes SYNC 3, voice-activated navigation and a nine-speaker audio system. The available Convenience Package for GT350 models replaces the Recaro manual seats with six-way power, heated and cooled sport seats with Miko suede inserts for both driver and passenger sides. Ford has not released any information regarding pricing, but for context’s sake, a 2017 GT350 retails for about $56,145 and a GT350R runs about $63,645. 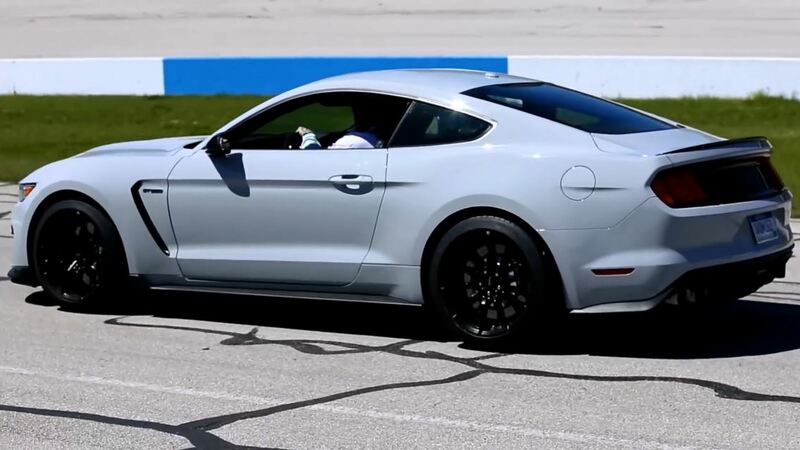 Are you glad Ford is bring back the GT350 or would you rather see the GT500 come back? Comment your thoughts below! These are nice, but I’d love to see the bad boy of them all come back. GT 500 supersnake. Then your stable will be complete.